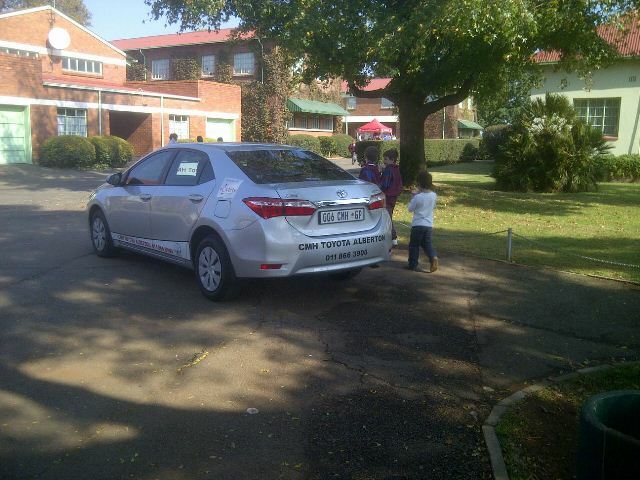 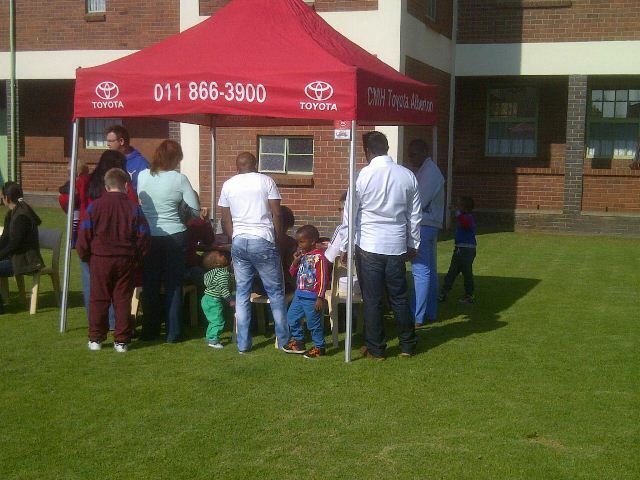 CMH Toyota Alberton was pleased to be invited to the Broadlands private primary and high schools open day that took place on Saturday the 20th August 2016. This gave CMH Toyota Alberton the opportunity to display their vehicles on special and also their great deals. The Toyota Aygo that is currently retailing at R148 000.00, with an exciting exterior design, funky two-tone colour options available, vibrant interior and competitive pricing, our new Toyota Aygo is a nippy little car that caught the attention of the scholars at Broadlands primary and high school. 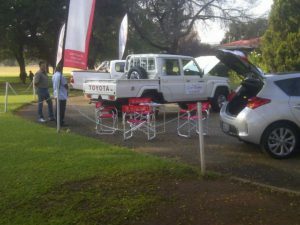 Our sales executives really went out of their way to make it more fun for the customers and making sure it’s not just another normal display as you can find at some other events. Some customers where even given the opportunity to test drive our new Toyota Hilux and also gave them that experience that the Hilux has to offer, tough enough for any terrain. 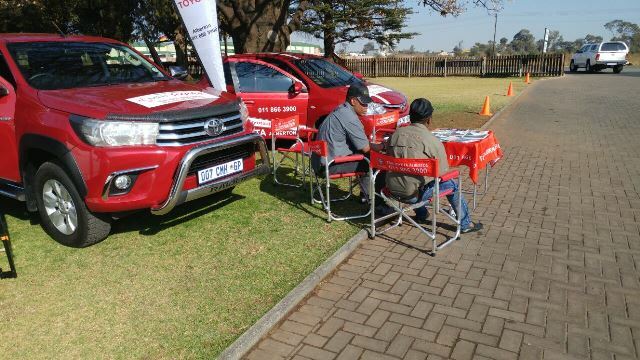 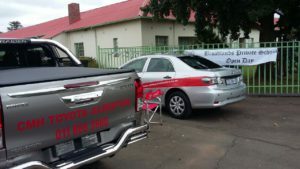 Some of CMH Toyota Alberton’s sales executives also gave their customers invites to this special event day and met up with their customers at Broadlands. 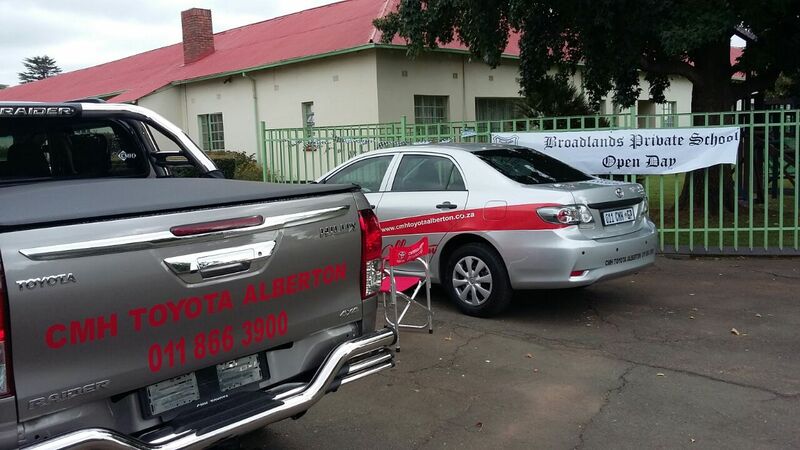 Thank you Broadlands for giving us the opportunity to display our vehicles at your schools’ event day and for joining us on that fun day.